Yes, there is a correct method to wrap a cable; no, it's not by coiling the cable around your elbow. An appropriately wrapped cable ensures that it will uncoil straight and quickly, prolong its life, and look professional. Why is Improper Wrapping Bad? What is more frustrating and embarrassing than trying to uncoil or disentangle a cable that has been improperly wrapped? In situations where you might not have a lot of time, trying to untwist and undo knots can be a tremendous waste of labor. Incorrect wrapping can create a bad cable "memory" and eventually destroy the wires. Wrapping a cable around your elbow or "straight coiling" does not work because every time it is wound, it causes the cable to twist with each loop made. When it is unwound, it coils and ties itself into knots. When a multi-stranded cable is constantly twisted in the same direction, it puts strain on the wire. After constant abuse, the wires will break. 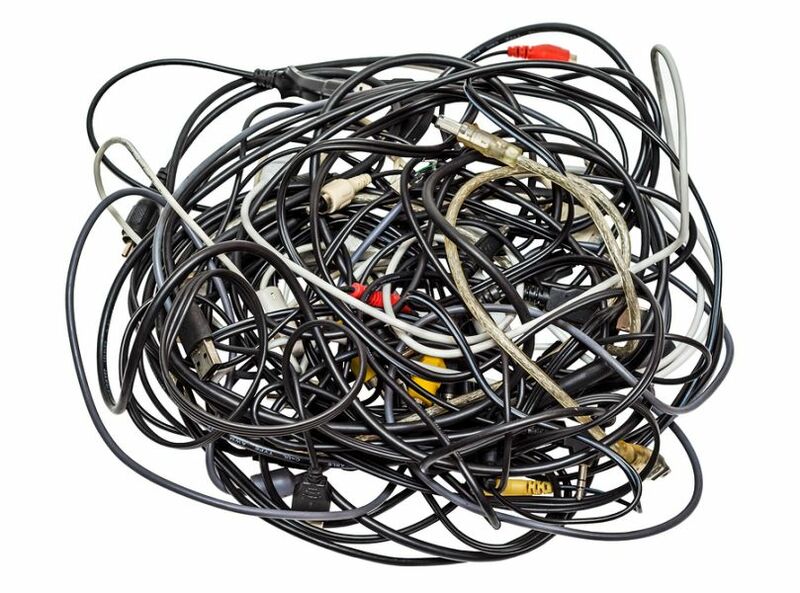 ​Once unwrapped, a cable should lie flat; not twisted, kinked, or have a pigtail effect. If done correctly, a cable should be able to be thrown in a straight line. Using a cable tie/wrap is good practice for proper cable management and a professional look.